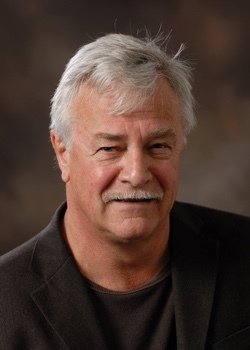 Michael A. Peters is Professor in the Wilf Malcolm Institute for Educational Research at Waikato University, Emeritus Professor at the University of Illinois at Urbana-Champaign and Professorial Fellow at James Cook University. He is the executive editor of Educational Philosophy and Theory and founding editor of several other journals, including the Open Review of Educational Research and The Video Journal of Education and Pedagogy. His interests are in education, philosophy and social policy and he has written over sixty books, including most recently The Global Financial Crisis and the Restructuring of Education (2015), Paulo Freire: The Global Legacy (2015) both with Tina Besley, Education Philosophy and Politics: Selected Works (2011); Education, Cognitive Capitalism and Digital Labour (2011), with Ergin Bulut; and Neoliberalism and After? Education, Social Policy and the Crisis of Capitalism (2011). He was made an Honorary Fellow of the Royal Society of NZ in 2010 and awarded honorary doctorates by State University of New York (SUNY) in 2012 and University of Aalborg in 2015. Dr. Sonja Arndt is a senior lecturer in the Faculty of Education at the University of Waikato, teaching mostly in early childhood education and global studies in education. 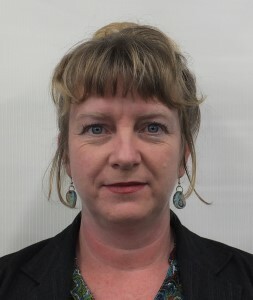 She is the Deputy Editor-in-Chief of Policy Futures in Education, Associate Editor of Open Review of Educational Research, and holds a number of editorial roles for other journals including Knowledge Cultures and ELearning and Digital Media. Sonja’s research and scholarship is in the philosophy of education and of the subject, with a focus on cultural and intercultural Otherness in the early years and higher education. 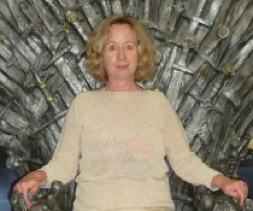 Sonja is on the Executive Committee of the Philosophy of Education Society of Australasia, is a leader of the Editorial Development Group of Educational Philosophy and Theory, and works in the Centre for Global Studies and the Early Years Research Centre at the University of Waikato. 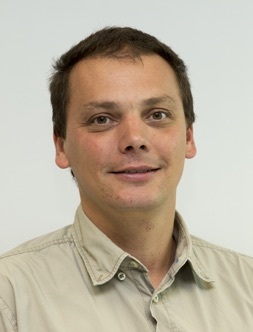 Dr Marek Tesar’s research and expertise is in childhood studies and early childhood education at the University of Auckland. He is Editor-in-Chief of Policy Futures in Education published by SAGE, Deputy Editor of Educational Philosophy and Theory, and is engaged in different editorial capacities with a number of other international and New Zealand journals. His research and editing focus in on childhood, philosophy of education, policy and methodology. He has published extensively in these areas, has given a number of keynote and plenary addresses at conferences around the world. His scholarship and activism merges theoretical work with a practical impact on the mundane lives of children and their childhoods in Aotearoa New Zealand and overseas. Dr. Andrew Gibbons is an early childhood teacher educator and associate professor at the School of Education, Auckland University of Technology. His research focuses on the construction and experience of the early childhood teaching profession drawing upon the philosophy of early childhood education and the philosophy of technology. His book The Matrix Ate My Baby (Sense Publishers) critiques the role of new media in early childhood education. In Education, Ethics and Existence: Camus and the Human Condition (Routledge, co-authored with Peter Roberts and Richard Heraud), he explores the contribution of Albert Camus for the critique of schooling. Andrew is Executive-Editor of ELearning and Digital Media and Associate Editor of the Encyclopaedia of Educational Philosophy and Theory and of Educational Philosophy and Theory. 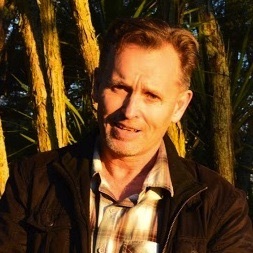 Dr. Richard Heraud is managing editor of Open Review of Educational Research, co-editor in chief of E-Learning and Digital Media, co-editor of the Encyclopedia of Educational Innovation and is a member of The Philosophy of Education Society of Australasia. Richard’s research interests from his research on the concept of innovation, and include an interest in the theoretical dismantling of human capital theory with respect to the purpose this mechanism serves in linking education to economic development, the role of endogenous necessity in effecting change in meaning and practice, identifying the space in which innovative subject transforms collective responses to significant problems and how we might better understand our implication in the creation of artificial intelligence and the challenges it presents when expanding our role as creative beings. Richard has published in Educational Philosophy and Theory, Knowledge Cultures, and the Journal of Self-Governance and Management Economics and in various edited publications on topics related to the above interests. Elizabeth Grierson is Professor at RMIT University, Melbourne where for seven years she was Head of the School of Art then a fulltime researcher and supervisor of PhD candidates. Previously she was Head of Research and Associate Head of School at Auckland University of Technology (AUT), a Visiting Research Fellow at University of Brighton UK, lecturer and academic developer at the University of Auckland, Continuing Education Department. She is an Adjunct Professor at AUT, and Life Fellow of RSA, Royal Society for the encouragement of Arts, Manufactures & Commerce (UK). Elizabeth’s research interests are in philosophy of education, the arts and aesthetics, and legal issues in IP and publishing, social media and cyberspace, international law, education and restorative justice. She is Editor of ACCESS journal incorporated with Educational Philosophy and Theory, and has authored many books, chapters and papers. Elizabeth is an Australian Lawyer (Victoria), and a Barrister and Solicitor of the High Court of New Zealand. She is lawyer for the Editors’ Collective. Petar Jandrić is an educator, researcher and activist. He published three books, several dozens of scholarly articles and chapters, and numerous popular articles. Petar’s works have been published in Croatian, English, Serbian, Spanish, and Ukrainian. He regularly participates in national and international educational projects and policy initiatives. 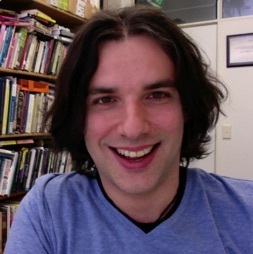 Petar’s background is in physics, education and information science, and his research interests are situated at the post-disciplinary intersections between technologies, pedagogies and the society. Petar worked at Croatian Academic and Research Network, University of Edinburgh, Glasgow School of Art, and University of East London. At present he works as professor and director of BSc (Informatics) programme at the Zagreb University of Applied Sciences, and visiting associate professor at the University of Zagreb. 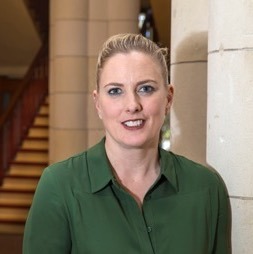 Liz Jackson is Assistant Professor of Curriculum and Policy Studies and Deputy Director of the Master of Education Programme at the University of Hong Kong, Faculty of Education. She is Associate Editor of Educational Philosophy and Theory and the Open Review of Educational Research, and a founding editorial leader of the Editorial Development Group for Educational Philosophy and Theory. Her research interests are in philosophy of education and global studies of education with a focus on cross-cultural, multicultural, and moral and civic education. Her recent single-authored text Muslims and Islam in U.S. Education: Reconsidering Multiculturalism (2014), received the inaugural Philosophy of Education Society of Australasia Book Award (2015) and the Research Output Prize for the Faculty of Education of the University of Hong Kong (2014-2015). She has been the Principal investigator on two General Research Fund grants from the University Grants Committee of Hong Kong for her research on multiculturalism in Hong Kong curriculum and a Co-Investigator on an international research project with Asia Society. She is an active member of the Philosophy of Education Society of Australasia, the Philosophy of Education Society (United States), and the American Educational Research Association. Jayne White is Associate Professor at Waikato University where she teaches across under-graduate and graduate education programmes. 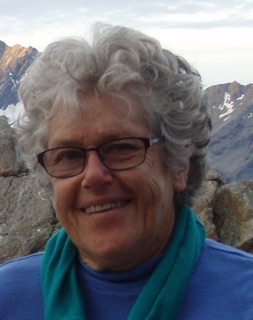 Alongside a number of editing roles with Springer, she is co-editor of The Video Journal of Education and Pedagogy and co-directs the Wilf Malcolm Institute for Education Video Lab. Her interests are in education, philosophy and visuality methodologies, with a special focus on dialogic processes in the early years. 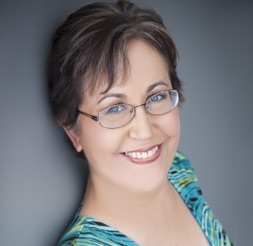 She has authored or co-authored several books and reviews for a range of journals. 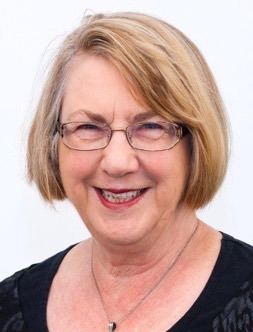 Jayne was made an Honorary Fellow of Philosophy of Education Society of Australasia in 2015 where she continues to support scholarship among members. 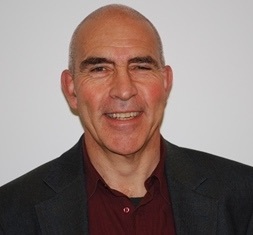 Leon Benade is the Director of Research in the School of Education of Auckland University of Technology (AUT), and his main research interests are teachers’ work, school policy, ethics, philosophy in schools, critical pedagogy, and the New Zealand Curriculum. 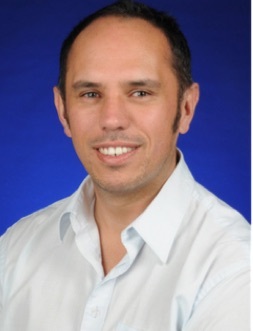 Leon’s current research work focuses on how ’21st century learning’ impacts the work of teachers and school leaders, particularly in relation to the establishment of Flexible Learning Environments (FLE) and digital pedagogies. Related areas of interest include the question of teachers’ critical reflective practice and the evolving role and nature of the concept of ‘knowledge’ in the 21st century curriculum. Leon is currently the co-editor (with Georgina Stewart) of the New Zealand Journal of Educational Studies. He is co-editor (with Nesta Devine) of the New Zealand Journal of Teachers’ Work and an associate editor of Open Review of Educational Research. He contributes further to the research environment by his work as a consulting reviewer for Educational Philosophy and Theory, Australian Journal of Teacher Education, Policy Futures in Education, New Zealand Journal of Educational Studies and Curriculum Matters. 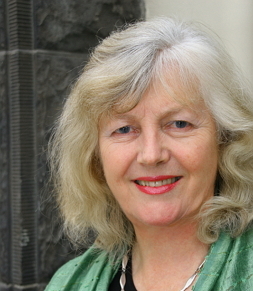 Susanne Brighouse has a MA in Education from Auckland University, 1999. She has an interest in education having taught mathematics and science at secondary level for many years before taking up an interest in educational philosophy. She has worked as managing editor for the Journal of Educational Philosophy and Theory for the last 13 years and is also now managing editor for the Open Review of Educational Research. (ko Whakarārā te maunga, ko Matauri te moana, ko Te Tāpui te marae, ko Ngāti Kura te hapū, ko Ngāpuhi-nui-tonu te iwi) is an Associate Professor in Te Kura Mātauranga School of Education, at Auckland University of Technology (AUT) in Auckland, Aotearoa New Zealand. Georgina’s research focuses on the intersections between knowledge, culture and education, including Māori science education, biculturalism, bilingualism and indigenous philosophies. Currently she is completing a Marsden research project to investigate the use of te reo Māori in the academy. Georgina is the co-editor (with Leon Benade) of the New Zealand Journal of Educational Studies and co-editor (with Carl Mika) of Knowledge Cultures journal. She is on the editorial board of Curriculum Matters, and an associate editor of Educational Philosophy and Theory. 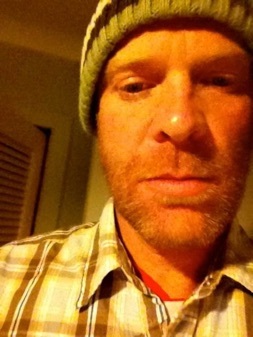 Chris Myers is Director of Strategic Development for the Crossroad Publishing Company in New York. 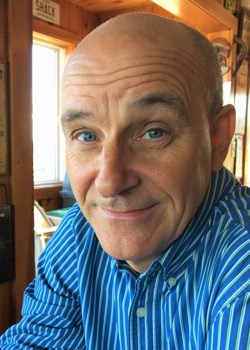 In addition to strategic planning, he runs the Herder & Herder academic imprint at Crossroad, which specializes in trade and scholarly books, e-books, audio and video products in religion and spirituality. Prior to his tenure at Crossroad, he was Managing Director of Peter Lang Publishing, also in New York. At Lang, he was responsible for the overall management of the US division of the Peter Lang International Academic Publishing Group. He also served as one of their Global Directors. Chris has published lists of books and academic content in many areas of education and teacher development at Peter Lang for more than 25 years. Important themes include critical pedagogy, urban education, cultural studies, early childhood development, disability studies and social justice. At Herder & Herder, his lists look at the influence of Christianity on society, interfaith dialogues and the role of women in organized religion. In the course of his career, he has been responsible for the publication of more than 5,000 books. He frequently lectures on the topic of academic publishing to university faculties and professional organizations. Chris is treasurer and a member of the Board of Directors of Give.Build.Share, a Georgia-based 501(c)3 not-for-profit organization dedicated to building schools and health clinics in needy communities in Ghana, West Africa. Their current project is the construction, staffing and supplying of a K-12 school and a healthcare facility in the village of Mpeasem, Ghana, which provides an educational and medical facility to children and adults within their own community for the first time. He is responsible for fiscal management and fundraising for the organization. Chris received a B.S. in Psychology from St. Peter’s University and an M.B.A. in International Marketing from Fairleigh Dickinson University. He is an active volunteer in his community. He lives with his family in Maine. Ruth Irwin is Professor of Education and Head of School at the University of Aberdeen. Her research is in philosophy and policy of education, philosophy of the environment and climate change, and educational futures. She has four books, Heidegger, Politics and Climate Change; Climate Change and Philosophy; New Zealand Educational Policy since 1999; and Beyond the Free Market. Her latest projects are ‘Knowledge Ecologies’ and ‘Climate change, education and Fiji.’ She has worked in Scotland, Fiji, and New Zealand. 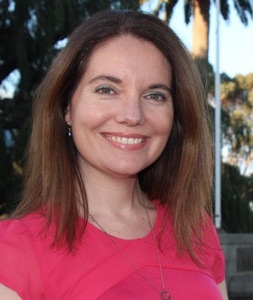 Daniella J. Forster is Lecturer in the School of Education at the University of Newcastle where she teaches educational philosophies and professional ethics and coordinates Teach Outreach, the School’s community engagement and volunteer program. She is a member of the Editorial Development Group and an Associate editor of Educational Philosophy and Theory. She is on the Editorial board for Policy Futures In Education and a member representative for the Philosophy of Education Society of Australasia. Daniella has published internationally in the areas of teacher professional ethics, the moral imagination of preservice teachers, exploring the educational value of uncertainty and ignorance, preservice teacher volunteerism, and the futures of philosophy of education. Her work will soon be available in Chinese translation in Professional Ethics and the Moral Work of Teaching: Western Contemporary Research (Campbell & Wang, eds.). Her current research program “Developing robust action-guiding theory: Helping teachers use professional ethics for educational equity” is funded by a Centre for Equity in Higher Education Early Career Researcher Development Grant. Catherine Legg is Senior Lecturer in Philosophy at the University of Waikato. She holds a BA (Hons) from University of Melbourne, an MA from Monash University and a PhD from Australian National University. Initially trained in analytical philosophy, she developed a strong interest in American pragmatism, particularly Charles Peirce. Her 1999 PhD thesis (Modes of Being) brought Peirce’s three fundamental ‘categories’ of being (essentially: feeling, existence and real universals) to contemporary debates in mainstream philosophy. Her current research bridges history of philosophy, metaphysics, epistemology, philosophy of language, semiotics and logic. 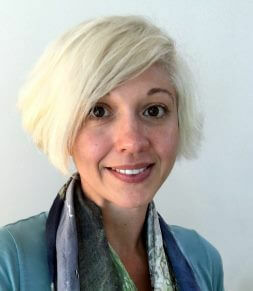 She has a keen interest in Peirce’s concept of the community of inquiry, and has published a number of papers exploring the implications of this idea for understanding truth: both in traditional philosophical debates, and across new digital media such as the World Wide Web and Wikipedia. 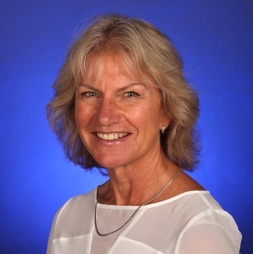 Tina Besley is Professor and Director of Centre for Global Studies in Education at Waikato University. Tina has wide research interests including: the philosophy of education, school counseling, educational politics and policy, research assessment in higher education, subjectivity, youth studies, interculturalism and global knowledge economy and cultures. Her recent work now extends to e-learning, social networking and Global Studies in Education. She is President and a Fellow of the Philosophy of Education Society of Australasia (PESA); President of the Association of Visual Pedagogies; a member of the New Zealand Association of Counsellors (MNZAC) and a Fellow of Royal Society of Arts, UK (FRSA). 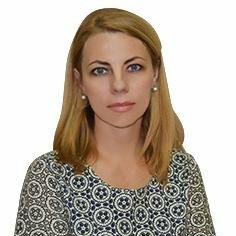 Ramona Mihaila is full professor at Dimitrie Cantemir Christian University, Bucharest and the dean of the Faculty of Foreign Languages and Literatures. She is the author of books concerning women’s writing and co-editor for many volumes focusing on gender studies: Representations of Women’s Roles in Romanian Women’s Writing (2013), Identity Construction of Female Characters in 19th Century Prose (2008), editor of Divisions of Gendered Spaces (2016), Transnational Identities of Women Writers in the Austro-Hungarian Empire (2013), co-editor for Gender Studies in the Age of Globalization, volumes 1-10 (2013), Gender Studies: Woman Inside and Outside the Box (2012). She has been visiting professor at Arizona State University (2010), research fellow for international institutions and universities: Library of Congress, Washington DC (2015), University of Southampton (2012), Huygens Royal Institute, The Hague (2011), grants recipient for conference participation: Hogeschool University, Brussels (2011), Université Paris-Est Créteil, Paris (2013) etc. She has been coordinator of the European project “Gender Studies and Gender Roles in Romania and Austria: A Contrastive Research of the Literary-Media Sources (2008–2011) and co-leader of Working group 4 within the European project “Women Writers in History” (2009–2013) while now she is a member of the Management Committee for the European project “Gender, Science, Technology and Environment” (2012-2016). She serves as the editor in chief of Journal of Research in Gender Studies, Addleton Academic Publishers, New York. 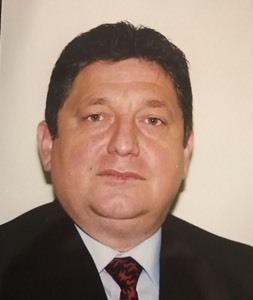 George Lazaroiu is a senior research fellow at the Institute of Interdisciplinary Studies in Humanities and Social Sciences, New York, and an associate professor in communication sciences at Spiru Haret University, Bucharest. He is a publishing executive editor at Addleton Academic Publishers, New York. His books are indexed in EBSCO and in more than 2,000 library catalogs. His articles have been published in Educational Philosophy and Theory, Analysis and Metaphysics, Contemporary Readings in Law and Social Justice, etc. He has published several review essays in the Sixteenth Century Journal and about 100 book reviews indexed in EBSCO and ProQuest. He has reviewed articles for the Journal of Philosophy of Education. He has presented papers at conferences organized by Harvard University, Western Michigan University, University of Glasgow, Paris-Sorbonne University, Philipp University of Marburg, Wuhan University, etc. He has coordinated the translation of more than 3,000 pages authored by Richard Swinburne, Edward Zalta, Joseph Raz, Nicholas Rescher, Dale Jacquette, Hartley Slater, etc. H-index: 10. Jānis (John) Tālivaldis Ozoliņš FHERDSA, FPESA, FACE, Foreign Member of the Latvian Academy of Sciences, is Professor of Philosophy in the School of Philosophy (National) at Australian Catholic University, Honorary Fellow, Institute of Philosophy and Sociology, University of Latvia, and was Inaugural Crawford Miller Visiting Research Fellow at St. Cross College, Oxford. He has been a Visiting Professor at Wuhan University, Wuhan China and University of St. Thomas, Houston, Texas. He is Reviews Editor of Educational Philosophy and Theory, Editor of Res Disputandae, formerly Ethics Education, and an editorial consultant on a number of international refereed journals. He has interests in the metaphysics of Aquinas, Eastern philosophy, philosophy of education and applied ethics and has numerous publications in these areas. His work has been translated into French, Spanish, Turkish, Polish and Chinese. He has also published in Latvian. His recent publications include Foundations of Health Care Ethics (CUP, 2015), Religion and Culture in Dialogue (Springer, 2016) and Civil Society, Education and Human Formation (Routledge, forthcoming). Dr Carl Mika is a senior lecturer in Te Whiringa School of Educational Leadership and Policy in the Faculty of Education, University of Waikato, New Zealand. He is of the Tuhourangi and Ngati Whanaunga iwi. 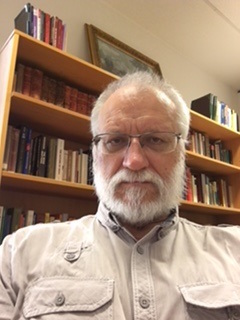 He has a background in law practice, indigenous and Maori studies, and aspects of Western philosophy including Heidegger’s work and German Romanticism. 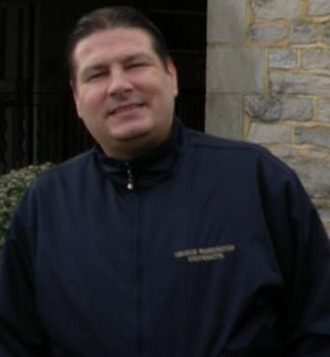 His current areas of research focus on indigenous colonial and counter-colonial, as well as philosophical research methods. Nesta Devine immigrated to New Zealand as a toddler, grew up in New Zealand and has been educated in the New Zealand public education system, culminating with a Phd at the University of Auckland with Professors James D. Marshall and Michael A. Peters . Her research interests centre on educational philosophy and policy. She has published on neo-liberalism in education, pedagogy, prison education. As well as an abiding interest in Maori and Pacific philosophies she is particularly interested in the works of Foucault, Derrida, and, currently, Catherine Malabou. Much of her work involves supervising her wonderful Phd students and post-docs, who take her into diverse worlds. She leads the Doctor of Education program at Auckland University of Technology. Nesta is an Associate Editor of Educational Philosophy and Theory, and co-editor (with Dr Leon Benade) of New Zealand Journal of Teachers’ Work. 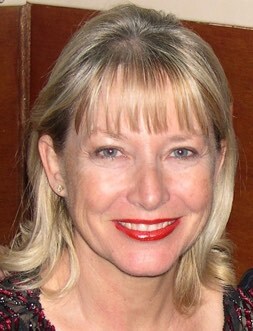 Dr Kirsten Locke is Senior Lecturer in the School of Critical Studies of Education, Faculty of Education and Social Work. Her research explores educational issues through philosophical lenses. Kirsten was a 2016 recipient of the Early Career Research Excellence Awards at the University of Auckland. She is currently leading a comparative research project that explores gendered career trajectories in Danish and New Zealand universities. Elvira Nica is Professor at the Bucharest University of Economic Studies, Dean of the Faculty of Administration and Public Management, Director, Center for Human Resources and Labor Studies, American Association for Economic Research (New York), Senior Research Fellow, Institute of Interdisciplinary Studies in Humanities and Social Sciences (New York), and Publisher Content Management Specialist, Contemporary Science Association (New York). She is Editor-in-Chief, Psychosociological Issues in Human Resource Management (EBSCO & ERIH PLUS), Associate Editor, International Journal of Sustainable Economies Management (Cabell’s and RePec), Board Member, EEPAT (Springer), member of the European Economic Association, member of the American Economic Association, and member of the World Economics Association. She has published more than 40 papers in peer reviewed journals indexed in ISI/Web of Science, Scopus, EconLit, ProQuest, etc. She has presented more than 35 papers at national and international conferences, most of them included in their proceedings. H-index: 15. Gheorghe H. Popescu is Professor at Dimitrie Cantemir Christian University, Bucharest, and at the Doctoral School of Bucharest University of Economic Studies, Director, Center for Applied Macroeconomic Analysis, American Association for Economic Research (New York), Senior Research Fellow, Institute of Interdisciplinary Studies in Humanities and Social Sciences (New York), Publisher Content Management Specialist, Contemporary Science Association (New York). He is Co-editor, Economics, Management, and Financial Markets (EBSCO & EconLit), Editor-in-Chief, Journal of Self-Governance and Management Economics (EBSCO & EconLit), Editor, American Journal of Medical Research (EBSCO & ProQuest), Co-Editor-in-Chief, International Journal of Sustainable Economies Management (Cabell’s and RePec). He is Board Member, EEPAT (Springer), member of the European Economic Association, member of the American Economic Association, and member of the World Economics Association. He has published more than 50 papers in peer reviewed journals indexed in ISI/Web of Science, Scopus, EconLit, ProQuest, etc. He has presented more than 40 papers at national and international conferences, most of them included in their proceedings. H-index: 15. Senior Lecturer in Philosophy at The University of Notre Dame Australia and an affiliate of the Institute for Ethics and Society. She completed her PhD The Moral Possibilities of Mass Art at The University of Western Australia. Laura is Chairperson of the Federation of Australasian Philosophy in Schools Associations (FAPSA) and co-editor of the Journal of Philosophy in Schools. Laura is a regular contributor to The Conversation and Radio National’s Philosopher’s Zone and The Minefield. Laura has published in the areas of philosophical pedagogy, aesthetics and ethics and her first book, Media and Moral Education: a philosophy of critical engagement has just been published with Routledge.